Teachers are one of the role models for their student. That is why a teacher should dress elegantly. As a teacher, you also need to consider an outfit that is stylish and make you feel comfortable to wear. All you need is some outfit inspiration to look best and comfortable during your teaching time. Wear a knee length shirt with a long sweater cardigan (if the weather is a bit cold in spring) and a matching long shoes and also a bag to is a great outfit to look inspirational for student. Don’t be afraid to wear bold and exciting colors during your work to get more fun outfit to wear; neon or turquoise color. Wearing blazer is perfect for teachers, because there are a variety of colors that you can choose. And also you can pair them with many different styles; a green knee length skirt, white shirt with black polka dots and blaze. If you want to look more mature, go on with flared tops. You can also add some accessories such as pink necklace, bags and shoes to compliment your look. Consider to wear knee length skirts that can be paired with matching top or contrasting top. A knee length skirts with a denim jacket is one of the best option that you can try, just like in the picture above. Don’t be afraid to play with polka dot. 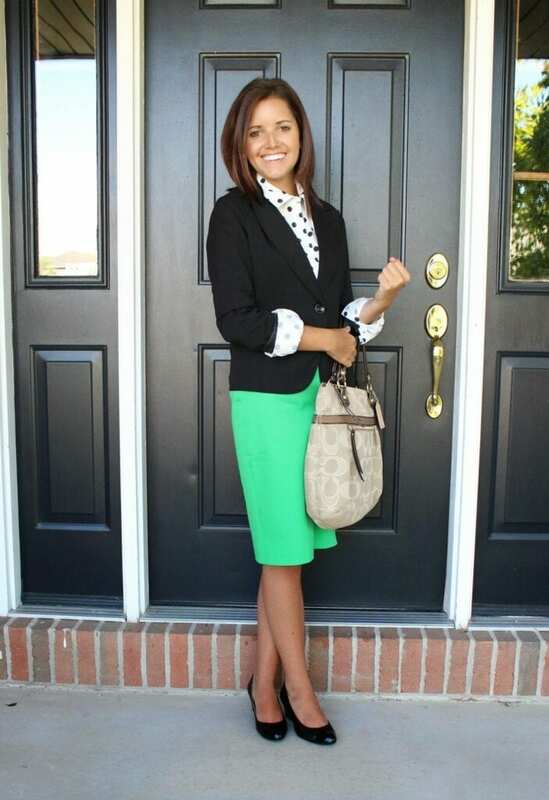 For a simple look, copy this style above; a polka dot top with skirt. Or combine your polka dot top with jeans for a funky look. Also consider to add a matching accessories to enhance your outfit. 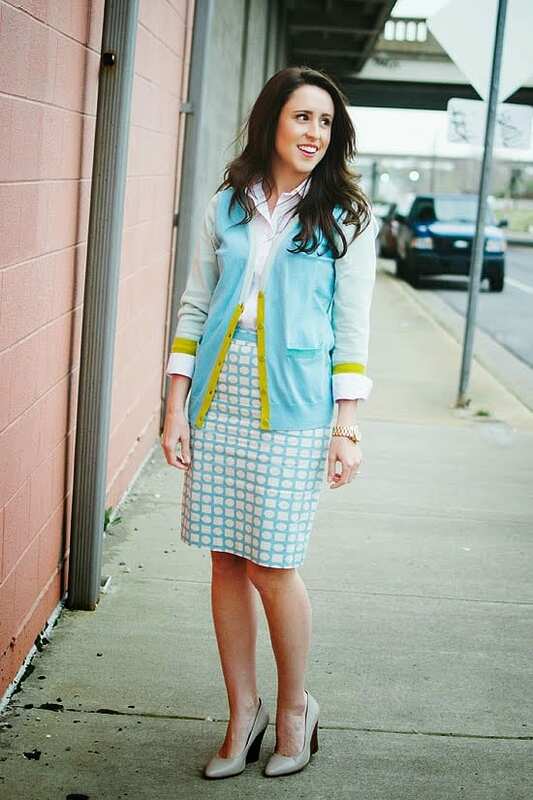 Tailored blazer and pencil skirt will instantly evoke a classic look. Try to wear a white V-neck shirt with a grey pants and brown coat for a simple but still make you look stylish.